What: Exciting news is splashing into the milk aisle! 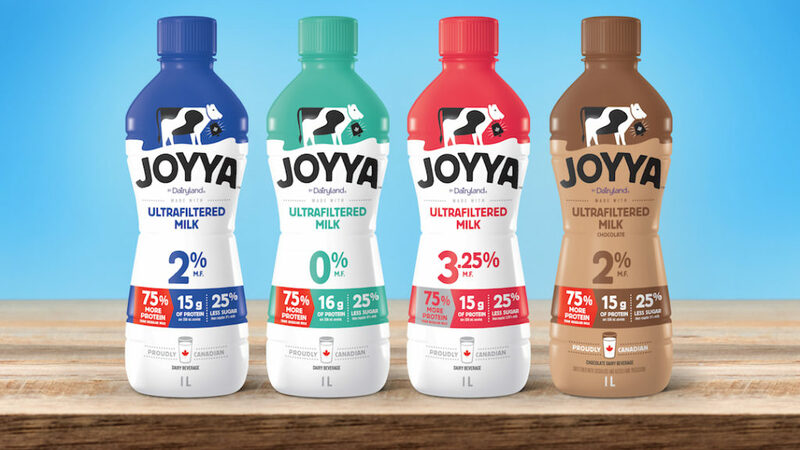 Canada’s dairy leader, Saputo Canada, has officially launched a new product innovation, JOYYA ultrafiltered milk. With 75% more protein and 25% less sugar, JOYYA is more than milk, it’s ultra milk. About: JOYYA is fresh Canadian milk that is passed through a series of specialized filters; this separates the milk components to concentrate the nutrients such as protein and calcium, while reducing the lactose (the naturally occurring sugar in milk). Contains no artificial flavours or colours and is hormone and additive free. Bonus: JOYYA also offers extended freshness than regular milk. When unopened and refrigerated, it stays fresh for up to 120 days from the production date. Once opened, it is recommended that it be enjoyed within 14 days. Packaged in a special 1-litre PET ergonomic bottle for easy pouring, long lasting freshness and portability. Where: Available in a 1-litre format in the following varieties – Skim Milk (0% M.F. ), Partly Skimmed Milk (2% M.F. ), Whole Milk (3.25% M.F.) and Chocolate Dairy beverage. The retail price is $3.99/1L unit and can be found at Canada’s community grocers and independent specialty stores. To understand Canadians’ milk consumption habits and preferences, Saputo commissioned a nation-wide survey with Maru/Blue. -Despite the rise of milk-alternative trends and a very cluttered “dairy” aisle, the survey discovered Canadians are still fiercely dedicated to milk, revealing that 87% of Canadians still drink or cook with milk regularly and 40% consume it daily.